Welcome back, Halo fans! And welcome back to myself I suppose, after a quick jaunt down to the Sunshine State, your friendly neighborhood Grim is back in the driver seat for this week’s Community Update, albeit in pretty smokey Seattle thanks to wildfires farther north. We’ve got a decent slate of action on tap for you today, including a recap of the Microsoft Store Halo Tournaments kickoff, an initial peek into some upcoming Halo 5 weapon tuning, a preview of some awesome new toys about to hit store shelves, Infection playlist changes, and more. 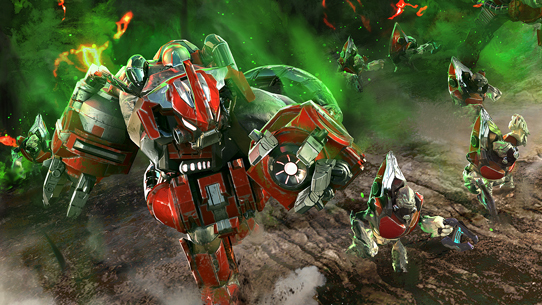 But first, let’s kick things off with a preview of Halo Wars 2’s upcoming Unggoy Leader – read on! You know the drill – when I’m at the keyboard, lore leads the way more often than not. I faithfully maintain this approach this with both zealous fervor and zero shame – an approach, conveniently enough, that also aptly describes many Unggoy. 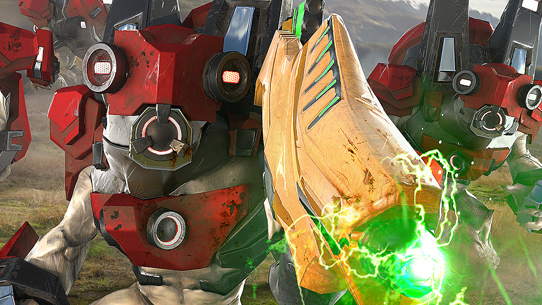 And speaking of which, the next DLC Leader in the Halo Wars 2 lineup is also just such a creature. Never before in the history of ever has the Halo universe known such a tactical genius, such a paragon of being amazing, such a specimen of ravishing Grunt appeal…until now. UNTIL YAPYAP. YapYap was once a sub-sub-sub Deacon in the Covenant Ministry of Sanitation until the fateful day he joined (was captured by) Atriox and the Banished and cleverly maneuvered his way up the chain of command (was slower than the other Grunts at avoiding eye contact when the job needed to be filled) to lord over (scream mostly ineffectually at) all the Grunts in the service of the Banished. To give fans a little preview of what’s to come, here’s a little methane-induced Fodder featurette to give your anticipation a distinct fiction flavor. Once in a thousand generations comes a Grunt with the combined wisdom of Ang’napnap the Enlightened, the charisma of Awlphhum Who Became Tolerable, and a strategic acumen unmatched since Yayep the Archdeacon of Indolence. That time has not yet come, but Yapyap THE DESTROYER (he likes to shout that last part) does embody the mythic skills of one, maybe two, of these legendary heroes. He leads his brave (if not so bright) warriors from atop his Throne of Woe, having abandoned the Banished to locate the fabled Golden Methane Hydrate Mines of Sabator hidden somewhere on the Ark (and why would that Kig-Yar fortune-teller lie?) and secure a position as the Halo Wars 2 main character. 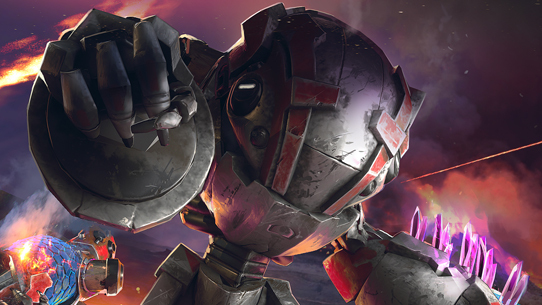 Also known as the Balaho battlesuit, Goblins are a patent-pending combination of amazing good looks and punchiness in a single value-packed package. But wait, there’s more! Act now and you can get not one. Not two. But THREE Goblins on the battlefield, for a true Grunty triple-threat. Forget fighting fair, for these suits have hearts of blamite and fists of justice that will deliver the Ark to its rightful owners: the Unggoy. And with the Ark in their grasping claws the rest of the galaxy will tremble! At least, that’s what the Throne of Woe keeps telling Yapyap THE DESTROYER. But wait, how did Yapyap get ahold of these incredible new machines and find time to modify them? Mind your own business is how. Yapyap THE DESTROYER dreams of owning a fleet of gold-plated warships to lord over the mean streets of Balaho. Well, Yapyap doesn’t yet have the gekz saved up to afford that, so he has to settle for a souped-up Shadows in the meantime. But with a few more successes on the Ark he can at least upgrade them with aftermarket iridium plating, hubcaps molded with the face of legendary Grunt heroes, and massive spoilers which ensure the Great Journey can be travelled in style. 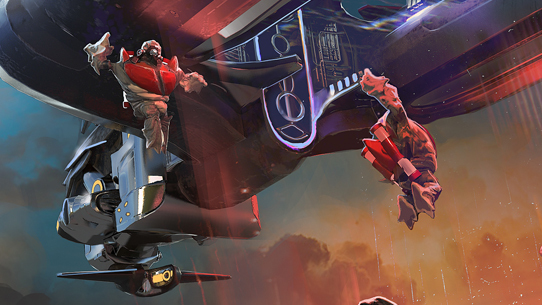 Although it has not yet reached its final form the Methane Wagon’s mix of combat and support abilities do make it the mullet of Grunt mechanized warfare: all business on the front lines, but party central in the rear. Unlike methane and infusions, the Grunt and Brute pairing is not a perfect match. 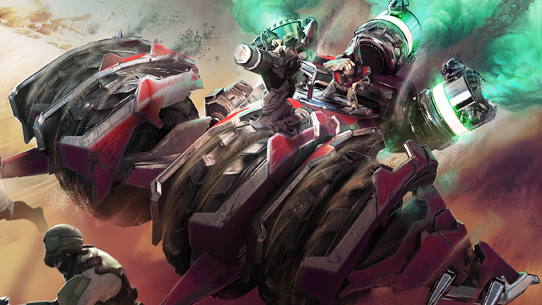 Among other quirks, some Brute Riders have a tendency to develop an obsession with biofuels, power management, and gladiatorial fights, much to the annoyance of everyone else in the rebellion. Other Brute Riders suffer “accidents” at the fists of the Brutes if they get too bossy. The rest simply hope to survive long enough to get promoted to Locust driver or methane hauler. 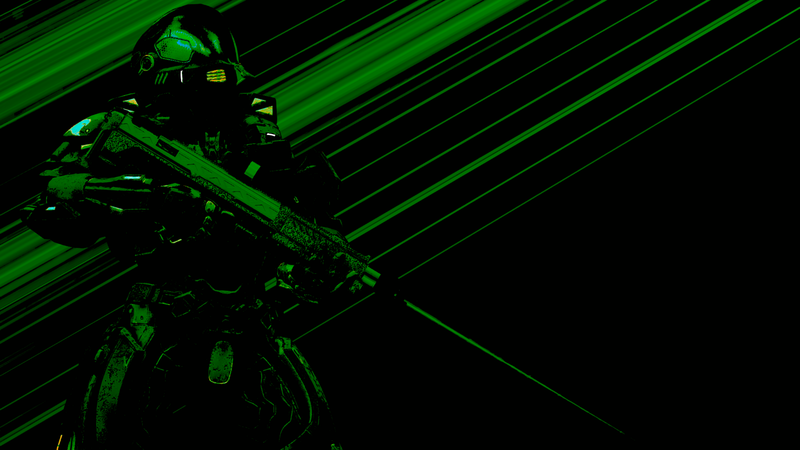 Heavily augmented using strange machinery found on the Ark, Heavy Grunts are part Grunt, part machine, all awesome. Even without their new battle armor the Heavy Grunts are bad to the bone, and their chainmail undervests, mirrorshade lenses, and bad attitude prove it. They are led by the Shadow Master of Buwan, a red-beret-wearing Grunt spoken of in hushed whispers, who has taught his disciples ancient Balaho martial arts and a number of useful rope knot tricks. An endless horde of overzealous Unggoy, ready to be marched into battle at a moment’s notice! As Yapyap has lost (he says “misplaced”) more Grunts in their revolution than were even carried to the Ark in the first place, it’s a bit of a mystery where these recruits are coming from. 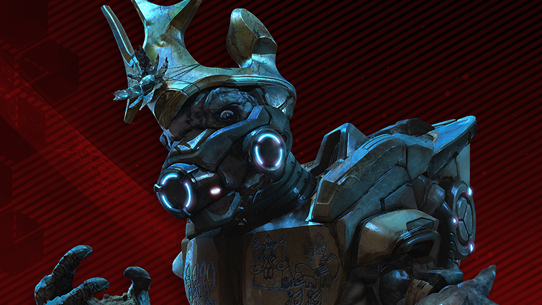 All that anyone knows for sure is that Yapyap THE DESTROYER argues with his Throne of Woe, gives it a few good kicks, and glassy-eyed reinforcements show up at camp the next day, ready to fight for the glory of Yapyap! In these dark days Grunts adrift are a gift, so other Grunts don’t ask any questions. Yapyap is slated for launch next week, and closes out the Halo Wars 2 Season Pass content. And if all goes according to plan (cross your chitinous fingers), ske7ch and I are planning on trying to do a sneaky little preview stream from our desks this Friday. No promises, but stay tuned. Last week, our beloved ske7ch wrote 7,000 words about nothing (or so I heard). This week, he’s written 700ish words about, well, something at least. Specifically, words about the upcoming weapon sandbox tuning he mentioned last Update. I don’t like sand, so I’ll let him handle the nitty-gritty. In last week’s Community Update we kicked off a conversation about work that’s underway to spruce up the Halo 5 weapon sandbox. Many of the specifics surrounding timing, implementation, and logistics are still being finalized, but today we’d like to jump in and start sharing a bit more context about the types of tuning tweaks coming to Halo 5. 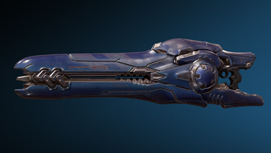 To achieve these goals, the team is looking at making various adjustments to fourteen weapons and one power-up in the Halo 5 sandbox. That’s not to say that other sandbox elements aren’t fair game for possible evaluation at a later date, but for this particular tuning test, that is the scope. It’s also important to note that while we want to keep players abreast of these tuning changes and share as much info as possible, as early as possible, it does mean that there’s always a chance that things could change between these blog updates and what finally rolls out in the actual tuning test, given that there is a great deal of internal testing and evaluation underway. And remember - all of these weapon tuning changes will first be released in a test-capacity, so all players across the community will have an opportunity to help playtest and share feedback (along with lots of gameplay data) with the Sandbox Team. 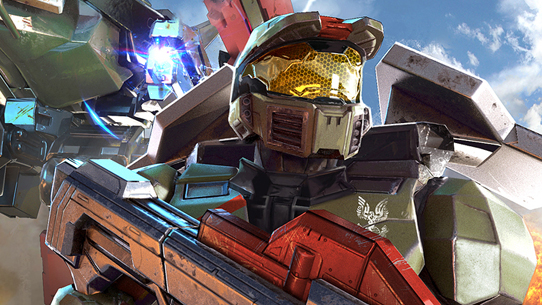 Ultimately, after testing has concluded and the data and feedback is digested, the final adjustments will be made, and will be added globally to Halo 5 in a game update targeted for later this fall. Lastly, we want to help provide high level context and understanding for these tuning adjustments, but it’s also important to us that we can have a proper test and not introduce bias or skew the results. To maximize the integrity of the data and feedback for the test, we’re intentionally not revealing all of the nitty gritty specifics of the exact tuning adjustments being made to each weapon (and those finer details may ebb and flow over the course of testing). We have twelve more sandbox items to dig into and discuss, so stay tuned – there’s plenty more to come in the weeks ahead. In the meantime, if you have questions or thoughts to share, please join the discussion over in the Waypoint forums. 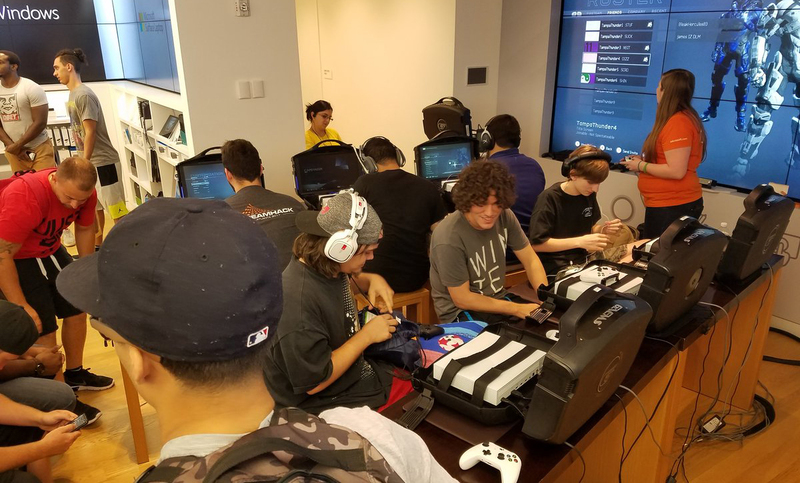 This past weekend marked the kickoff of the grassroots Halo 5 tournament program hosted by our friends at the Microsoft Store. Yours truly happened to be back in my hometown of Tampa, FL for celebratory family business, but I couldn’t help stopping by Tampa’s International Plaza Microsoft Store location to take in their Grand Finals and spend some time with Halo players and community members. Needless to say, I got both the warm and the fuzzies from all the awesome community comradery on display. The Store staff on hand ran a great program and I heard from both players and spectators alike how much fun they were having, and how much they were already looking forward to the next one. Perhaps most exciting was seeing players link up with new friends to form pairs in anticipation for next month’s Doubles tournament. Of course, the action in the actual tournament itself held its own as well. 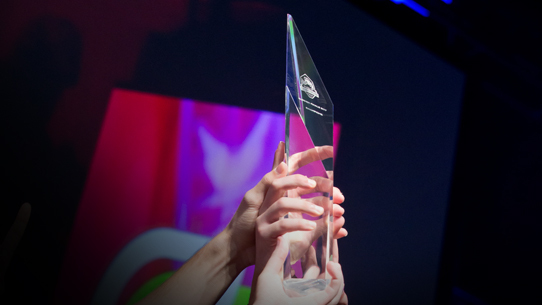 The Tampa tourney ran a 36-player bracket that culminated in an epic 6-player Grand Final that saw HCS Pro League player Ryan “RyaNoob” Geddes take a narrow 36-34 victory over local talent PiLEZ. In fact, the top four players all ended the Grand Final match with at least 30 kills, creating an awesome sense of urgency that lasted the entire match. "Thanks el jefe! Last Sunday was a pretty special day for me. As someone who used to run LANs and tournaments back in high school and college, grassroots Halo competition is something near and dear to me. We’ve been looking to do Microsoft Store tournaments for quite a while now, but wanted to make sure we had the right program as well as timing. Seeing the ideas go from chicken scratch in a notebook to what felt like a Halo holiday on Sunday was actually quite overwhelming for me. None of this would be possible without our amazing friends over at Microsoft Store, as well as the Halo community, of course. We’re fortunate enough to have two participating stores in the area here in Washington and I knew I had to go to both. In UVillage, we saw some familiar faces from those who came by in July when we had our first event, as well as completely new faces. In Bellevue, the atmosphere was a bit more raucous which was also exciting to be a part of. Ultimately, I think we need to find the best team from each store and have them duke it out to see who’s the best in the entire area. It’s only right! "While I could only visit the stores in my area, it felt like the entire Halo community had taken to their local store to participate and hang out. Thank you to everyone who tweeted photos using #MicrosoftStoreHalo, it was amazing to see all of the buzz and excitement in North America (and even Australia and Puerto Rico!). Halo is the thing that brings us all together and at the core, that’s what these Microsoft Store tournaments are all about. What I also love about these is that the community members are now totally empowered to help build their own communities and really make it their own, much like our friends at Greater Toronto Halo. I would encourage everyone to get involved and grow their local community. While we saw amazing number of players register for the first tournament (over 1,500!) it’s up to the community to spread the word, get involved, and continue to grow from here on out. We’ll see you on September 3!" Thanks, Tashi! And again, thanks to all the folks who made each tournament a blast to be at, from MS Store staff to players and participants. I personally had a blast talking Halo with awesome community members like AlienabIe, and The DiZZeL, and look forward to meeting even more fine folks next time around! If you are looking to get in on the action yourself, registration is still going on for the 2v2 MS Store tournaments taking place next month, and you can get signed up at http://aka.ms/msstorehaloregister. And for a more general overview on the MS Store tournament program itself, check out our original announcement HERE. Or, “of toy” I guess would be more accurate. At any rate, whether you’re a Halo fan looking for something new to play with (they are toys, remember), or just to display on your shelf, Mattel’s got you covered with Wave 2 of their slick Halo Universe series of 6” action figures. This next salvo of collectible coolness is rolling out to stores as we speak, and includes six mainline characters from the Halo canon, each with up to 30 points of articulation and paint jobs that are truly quite lovely. Yesterday, we unleashed a full preview of what to expect from the things you collect – check it out HERE! "We’ve patched up numerous exploitable spots on maps in the Infection playlist today. These fixes will not affect how the map flows, they will just prevent people from abusing places they shouldn’t be able to get to. These aren’t you’re typical hold-out locations; they are the spots you see and immediately know a survivor should probably not be there. That said, we’re happy to be patching these up and we hope this helps improve your Infection experience! 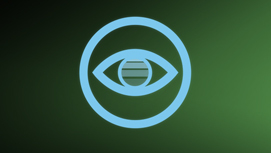 If you’d like to read a list of fixes, you may do so here on Waypoint." Thanks Uny! 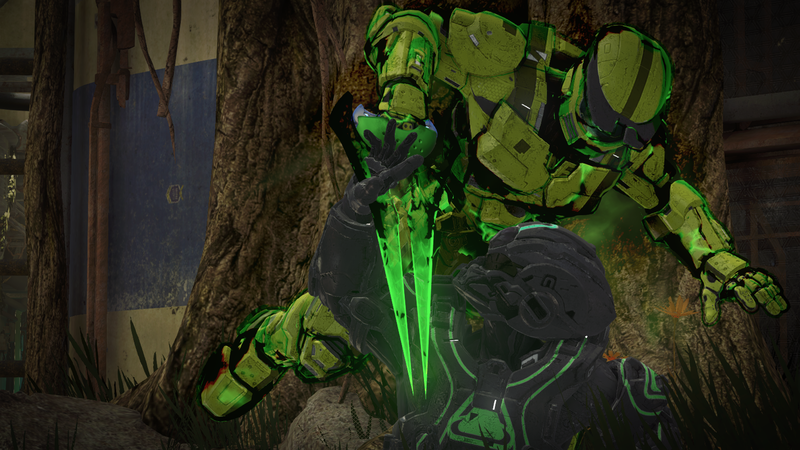 Also, for more in-depth information on all the specific changes made for the Infection playlist, head over to the official change list thread on the Halo Waypoint forums. Jump in and see what's new! 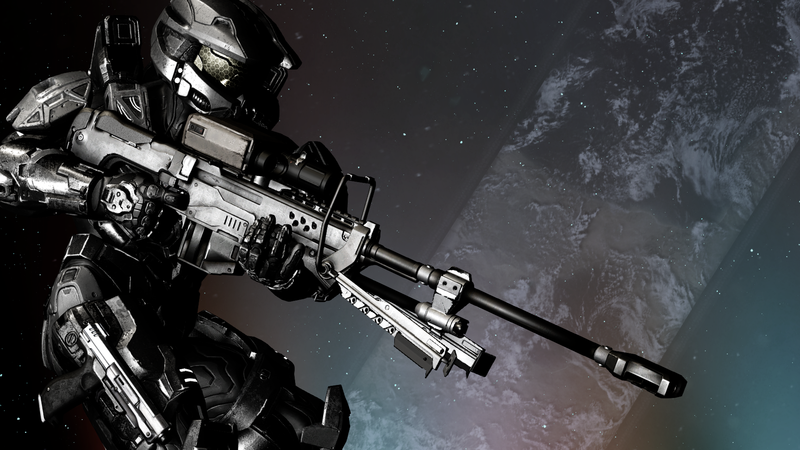 Like Old Times – This week’s featured rotational playlist is H2 BR Slayer, featuring the glorious Halo 2 Battle Rifle. To BXR, or not to BXR, that is the question. Arnold vs Sinbad – Warzone Turbo returns! 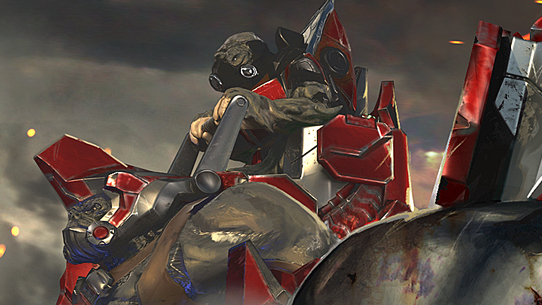 My favorite way to play is back for a limited time, so hop in, get REQ’d, and get rolling. Double-mint Gun – This weekend’s edition of Halo Summer Celebration Double XP doles out bonus experience for H2 BR Slayer, Warzone Turbo, and – because we love you – Breakout. DXP kicks in tomorrow (Friday), so hop in and rank up! Dress for the Kill You Want – For a limited time, the Greatest Hits Customization REQ Pack has made its way back to the Halo 5 REQ Store. This REQ Pack unlocks five permanent REQs selected from visual customizations most frequently equipped by Spartans who have them – all of them Ultra Rare or better rarity, if available. Usable in Arena, Warzone, and Warzone Firefight game modes, these visual REQs include weapon skins, armors, helmets, and assassinations. And yes, you can use RP to get it. Heiligenschein – For those of you attending Gamescom in Cologne, Germany come Aug 22-26, be sure to take in some playable Terminus Firefight in Halo Wars 2 on the show floor. Plus, we may just have some additional tidbits on the upcoming Awakening the Nightmare expansion that folks might find interesting, so, there’s that. No Tinfoil Hats Required – Good news: back-compat is still a thing! The Xbox BC team is still churning away on getting the titles prepared for public consumption on Xbox One hardware (in fact, there’s been quite a bit of playtesting going on here at the studio as well the past few days). Still no further word on timing for availability, but consider this as us “still mentioning it.” Oh, and yes, we are still aware of some issues surrounding the Noble Map Pack still not being free; it's being worked on with the appropriate Store folks. More Menke Madness – In his latest Matchmaking Update thread on Halo Waypoint, 343's Josh Menke skill gap and sandbox. You can read his ruminations HERE. 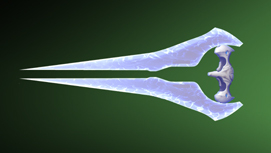 COMMUNITY PLAYDATE – Still looking to earn that coveted 343 Ice Unicorn skin for your iconic AR? Well make sure you are searching in the H2 BR Slayer playlist this Monday, Aug 14, from 6-7 PM PT for your chance to do just that – if you happen to match our official squad of Spartans, rejoice! Because not only will you bag yourself an Ice Unicorn skin, but since I’m playing, you’ll also have a pretty solid chance at winning the match. And do note the time, as we’ll be playing when most reddit-determined “normal people” will all be home as well. You’re welcome. See you on the battlefield! Starting off is OpTic Gaming’s excellent “Vision” series, the latest episode of which includes an inside look at OpTic’s recent runner-up outing at the HCS Summer 2017 Finals at DreamHack Atlanta. The Halo section begins at a little after 23 minutes in, but fans of the Greenwall – and esports in general – will no doubt enjoy the entire piece, which takes a look at all of OpTic’s current competitive efforts in a variety of titles. Next up is another awesome esports piece from Towey, chronicling the latest chapters in Evil Geniuses’ Halo team. It’s a fantastic inside look at a fan-favorite squad, definitely check it out. And with that, we draw this edition to a close. We hope you have a fantastic week, and enjoy the first vestiges of American football returning to the fold! 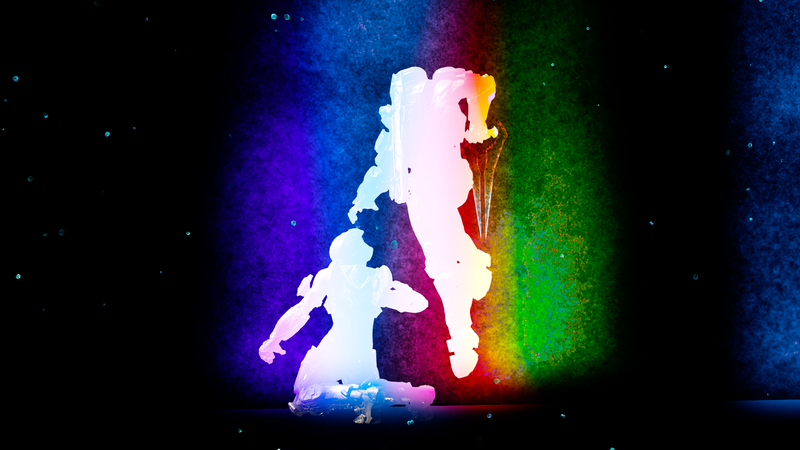 Until next time… Live well, play Halo, and for the record, I actually don’t mind sand at all.